When the child becomes a graduate, many doors open for the child. It is a transition phase for a child who is entering into the adult phase of life from the adolescence phase. When the child becomes a graduate, it is one of the happiest days of his or her life and the same thing is with the parents. Actually a graduation day for a child brings happiness for the entire family. To achieve the degree of graduation, the child does enormous amount of work in terms of studying, spending hours in the library taking notes, preparing presentations, doing projects etc. The graduation day is the day of final result of all these hardships. Graduation Day is the day to celebrate with the family members, friends and other close ones. To announce your graduation to family, you must throw a party where each participant has ample opportunity to enjoy. 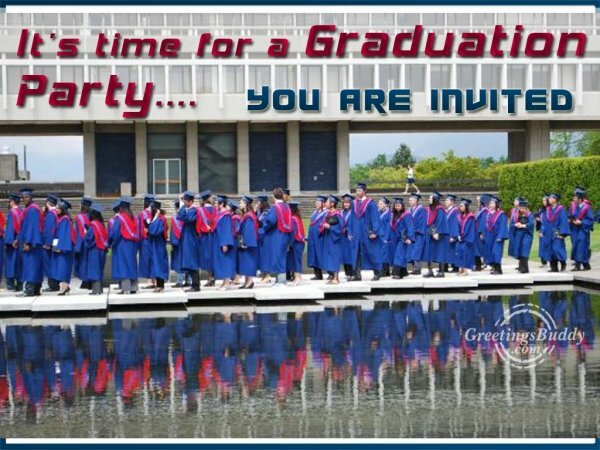 When it comes to the invitation to the graduation party, there are various types of graduation invitations which are available. One can choose from the trendy, classic or stylish graduation invitation card. There are customized graduation invitation cards as per the occasion. For the high school graduation invitations, college graduation invitation, nursing graduation specific graduation invitation cards could be used. One can select the various types of graduation cards online thus having wide range to select from. One can even use the graduation day photograph to invite people for the party and share the news of graduation to the others in a unique style.